I have a line layer and a vector grid. 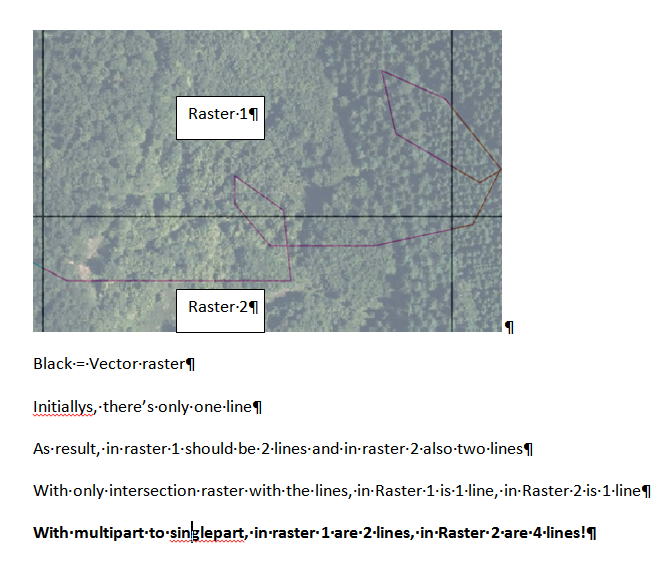 Now I want to count the lines in each raster. First I split the lines by intersecting the line layer with the vector grid. Second, I need to do a multipart to singlepart for the lines because I want to count each line individually. Now here is the problem: The lines are intersecting itself and at every intersection, the multipart-to-singlepart tool makes new parts of the lines. How can I avoid this, are there other workarounds? Browse other questions tagged qgis splitting multipart singlepart or ask your own question. Converting multipart line into single parts using QGIS? How to split Polygons by line grid? Splitting lines with points while maintaining other dissolved lines? Splitting line by other lines using ArcMap? Splitting lines/creating vertex at intersection using PyQGIS?